Six months ago Trillia Newbell wrote a memorable blog about what kind of woman God calls His daughters to be. Here it is. Hope you enjoy it. Trillia is a wife, mom, and writer. 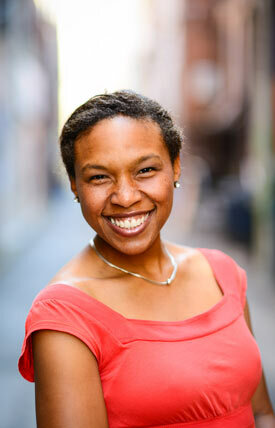 She writes about faith, family, fitness, theology and the African-American experience. To hear from her regularly go to her blog. She has some great stuff to say. Also follow her on Twitter: @trillianewbell. Femininity: June Cleaver, Clair Huxtable, or the Valiant Woman? One of my female icons growing up was Oprah Winfrey. I dreamed of being like her one day. After high school, I went to college and did everything I could to be successful. I made good grades, took internships, studied abroad, and got into law school. Then something odd happened. I began to sense God calling me to be a wife and mother. I remember sharing my desire to be a wife and mother with a research professor and not being well received. Apparently I was forfeiting all that the Civil Rights leaders had worked so hard for me to be able to do as a black woman. Without an understanding of how the Lord can change hearts and minds, I can easily see how my decision not to go to law school could appear foolish. I felt pressure from the world that I needed to be “successful,” but here I was, desiring to be a mother. Where was I to look for guidance? As God began to change my heart, I started to wonder what the application of this newly found desire for motherhood looked like. I was convinced that motherhood was a high calling, but did that mean I was called to be a stay-at-home mother? Thankfully I also had a husband to help me wade through these issues, and we came to conclude: yes and no. That doesn’t sound like much of a conclusion. But yes, God calls women to pay close attention to their homes. As a matter of fact, the woman who is oriented to her home is called wise. “The wisest of women builds her house, but folly with her own hands tears it down” (Proverbs 14:1). The home matters, and throughout Scripture God makes reference to the home and its importance (Proverbs 24:3, 15:6, 3:33, Titus 2:5). Yet are all mothers called to be June Cleaver? You remember the fictional character of the show Leave it to Beaver. The New York Times records June’s character as glamorous, a woman who wore pearls and high heels at home and helped her family get out of jams. June baked a steady supply of cookies, and used “motherly intuition to sound the alarm about incipient trouble.” June was seemingly joyful, agreeable, and content in her role. There is much to be commended about her character. But I wonder if June was not also the product of a particular 1950s American milieu. She was at home in her white suburban neighborhood. She served her family well, but wasn’t always a good example of strength, initiative, or courage. Her activities in the community included social events like weddings and school fundraisers. June was ideal only in part. 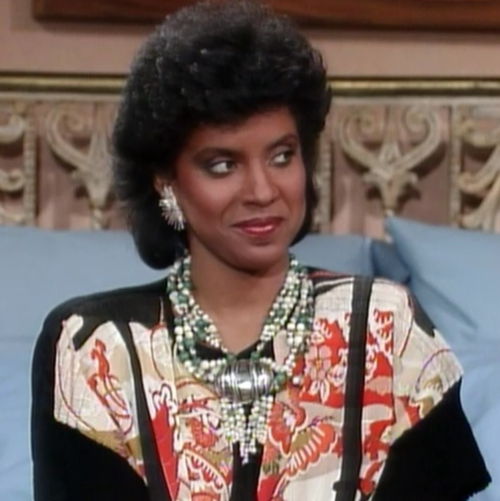 In contrast, there’s another American icon who busied her life around caring for her family and work: Clair Huxtable. Clair (played by Phylicia Rashãd) was witty and tough. She was a lawyer, and she was also the mother of five children on the hit TV show, The Cosby Show. Clair would make dinner, lovingly care for her husband, and listen to her children. And in 2004, her character was named “Best TV Mom” by a poll conducted by the Opinion Research Corporation. But I wonder if Clair was not the product of 1980s feminism. Clair was aggressive, and at times bossy. The saying, “if momma ain’t happy, ain’t nobody happy” might apply to the Huxtable household. When the kids stepped out of line or didn’t meet her standards, it was judgment time (check out “The Night of the Wretched,” season 6, episode 22, for a good example). Though she cared deeply for her husband, she often treated him like a child, not trusting him as he ventured into his many household projects. She worked hard for her family, which is commendable, but just like June, her fictional character falls short of ideal. June and Clair aren’t mutually exclusive. From all appearances, these fictional characters loved their homes, their husbands, and their children. But if we want to gain a biblical vision for the ideal woman, we should look at the wise words of King Lemuel’s mother in Proverbs 31. 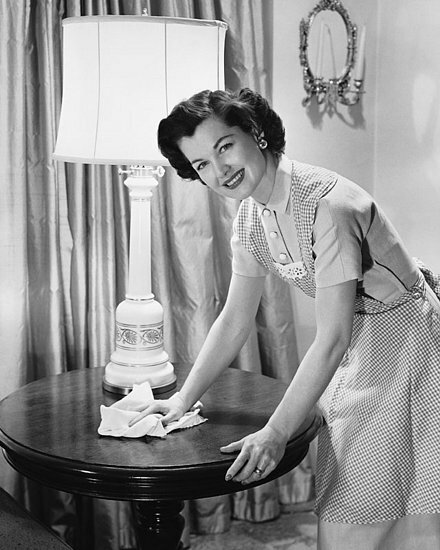 God does not idealize June Cleaver or Clair Huxtable, but holds up the Proverbs 31 woman. I already know that many people are tired of the Proverbs 31 woman and are cringing, just by looking at that subtitle. No worries, I’m not merely going to talk about how excellent she is. I’m thinking about one thing, and that is God’s word. Paul gave us insight on the value of God’s word when he said, “All Scripture is breathed out by God and profitable for teaching, for reproof, for correction, and for training in righteousness, that the man of God may be complete, equipped for every good work” (2 Timothy 3:16–17). God says his words are useful. That means that even if the “excellent wife” has been used and abused, his word still stands true. The woman is an ideal that we should look to; she is in a book dedicated to teaching wisdom. The valiant woman, commonly known as the Proverbs 31 woman or the “excellent wife,” is noble. She is respectful to her husband, she is trustworthy and kind, she is brave, she takes initiative, she works hard with her hands, she works inside and outside of the home, she is wise and respected. She is generous and thoughtful. She is blessed by her children and her children blessed her. Most importantly, the Valiant Woman is a woman who fears the Lord (Proverbs 31:30). And that is what God desires for us. God wants our hearts. He wants to give us a new heart and a new purpose (Ezekiel 36:26–28). When he changes us, he changes us to the core. God’s desire is that we love him with all our hearts and love our neighbor as ourselves (and I’d argue the closest neighbor to me is my husband and my children). As we rightly fear God and honor his design for femininity, the details of how that gets worked out in our homes will look differently for each woman. The radical change in my heart calls for a radical change in my pursuits, which brings me back to the decision my husband and I had to face. I personally could not be Clair and pursue my law degree while still trying to care for my husband, care for my home, and serve my children. Yet I couldn’t be June: I work part-time, I’m not ironing my husband’s underpants, and when I wake up I have a fight that the fictional character didn’t have. I fight my selfish flesh by the word of God and through his grace. I needed to look to God’s word for direction, not to the world. I didn’t first jump at the thought of having children, and I definitely didn’t jump at the idea of femininity as defined by Scripture. It took time for God to reveal his will and heart to me in the Scriptures. And now in marriage, because God has been so very gracious to me, I can and do submit. I also love to be home with my children. This is a miracle that only God could do in my heart. I had to (and continue to) fight not only the world, not only feminist thoughts, but a culture that would say I sold out. This article originally appeared on Desiring God. What Shauna Hernandez, a beloved member of our EPM team, has to share here is wise, insightful, and transparent. I think it’s helpful not only for newlyweds, but also those who’ve been married for many years. God is the creator of diversity. Separation is separation, and it hurts us and our Father who wants His children to know each other and love each other and enjoy each other’s company. Sadly, I’ve heard it said that eleven o’clock on Sunday morning is the most segregated hour in America. Since this book has been unavailable for twenty years, and yet most of it is as relevant as when it first came out, it seemed time for a resurrection, and a thorough update and revision. How Does One Gain the Courage to Make Personal Sacrifices for God? It requires only that we humble ourselves, that we learn, affirm, and live out the biblical pattern of womanhood, and that we teach the ways of God to the next generation.